Green Lantern #1 starts off with a great scene of the once disgraced Sinestro on Oa. Do you know who Sinestro is? Where Oa is? It’s good to have a basic knowledge Lantern lore before picking up this debut issue, as things are more alluded to than explained. That being said, we do get an introduction to both Hal and Carol that feels very much like the first scene of a movie would be – not too much is assumed, but there isn’t painful exposition everywhere. Beware though this book does presupose you have knowledge of the Green Lantern universe so maybe check a Wiki before diving in. 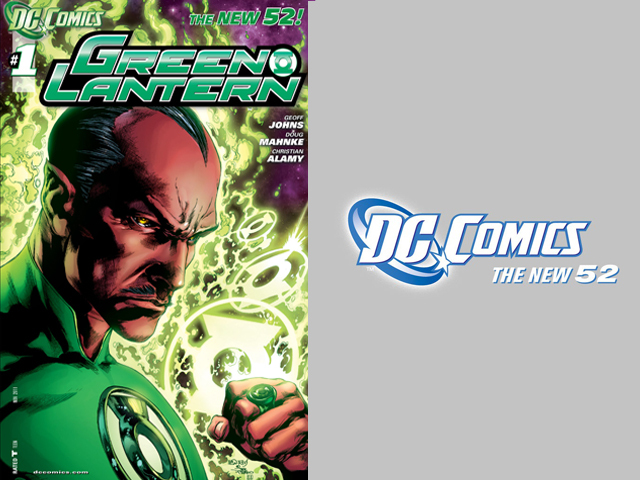 Geoff Johns does manage to establish a true emotional connection with both Lanterns as we discover one of them wants a ring and the other wants to be rid of it, and the final splash page which promises “Sinestro: Part Two” will pay off this wonderful set up in spades. 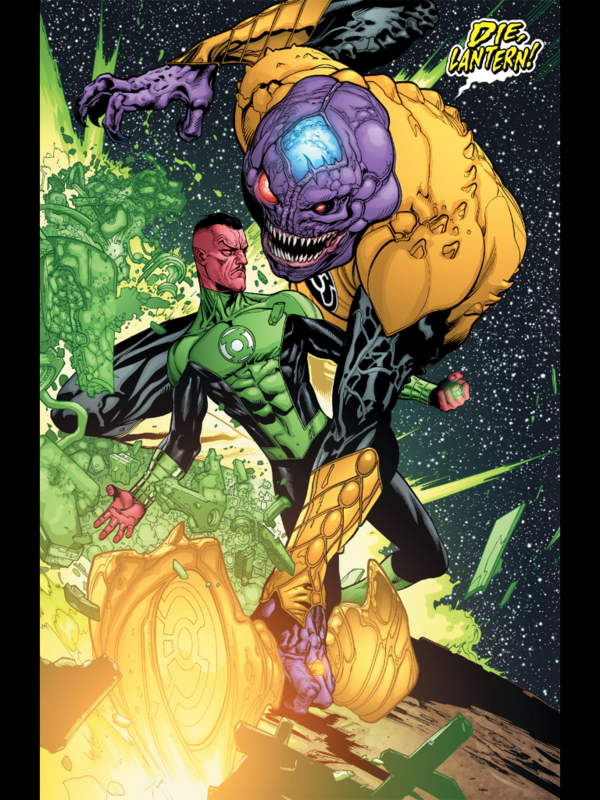 What a Green Lantern is, who Sinestro is, and the difference between yellow and green rings.